Art House Picture Frames specializes in both custom and conservation picture framing. A well designed and crafted picture frame along with its mounts will not only protect, but complement a piece of art for a long period of time. As it can seem overwhelming to view all of the moulding, mat, and glass selections available, we at Art House Picture Frames will take the time to work with you to design the best means of preserving and showcasing your art. Art House boasts a significant number of high end moulding samples to assist in selecting the best to compliment your art work. 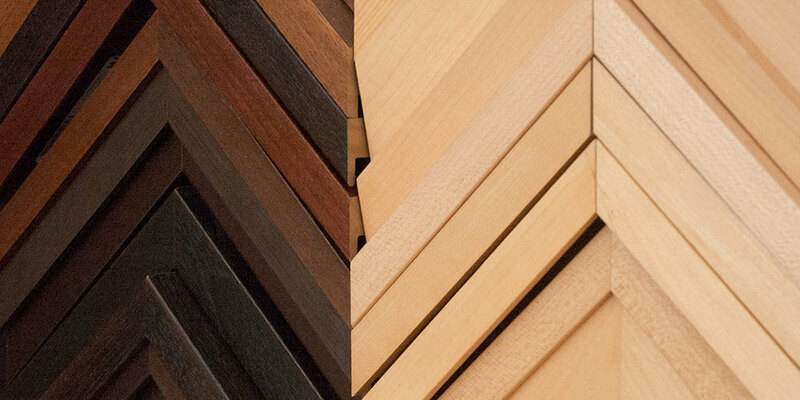 We offer mouldings from companies that are committed to environmental sustainability, such as Larson Juhl, Omega Moulding, and Nurre Caxton. We have researched the various sources for mat boards to preserve your art work and have made selections that stay steadfast to our environmental ideals. We use 100% cotton rag boards as cotton is a renewable source. We are particularly excited to offer Rising mat boards that provide mats made from cotton liners, the byproduct of the textile industry. This fulfills our desire to reduce, reuse, and recycle. We offer an array of glass and Plexiglas products, including museum quality, anti-reflective, scratch resistant, and UV filtering that will protect your art from dust, humidity, and light. Most work is mounted with a museum hinge using acid free rice paper and starch based adhesive. Posters and photographs are most often mounted with Art Care Restore, which is an acid free reversible dry mount. Float mounts are also available. Sometimes, clients bring in a canvas piece in need of stretching. We will take the piece and attach it to stretchers with heavy staples before framing. A more complete process is gallery wrapping, where the canvas is wrapped around heavy stretchers and pinned in back. Needle craft art (needle point, crotchet, cross-stitch, etc) can be framed with some minor prep work. We will sew or lace the work to a mounting board to preserve it before framing. Art House Picture Frames is proud of its line of custom frames, conceptualized and created in house by artist and framer, Drew Wilen. Each frame is an original work designed to enhance the art is surrounds. Drew is particularly fond of seeking out reclaimed wood from local sources and has been experimenting with naturally sourced eco-friendly stains. He enjoys working with a client to create a one of kind frame, art in its own right. A shadow-box is a wall mountable case with a glass front used to display items. Shadow-boxes are another favorite of Art House Picture Frames as they afford an opportunity for Drew to showcase his woodworking skills and sculpture background. Art House Picture Frames has a collection of custom mirrors that can be purchased at any time. 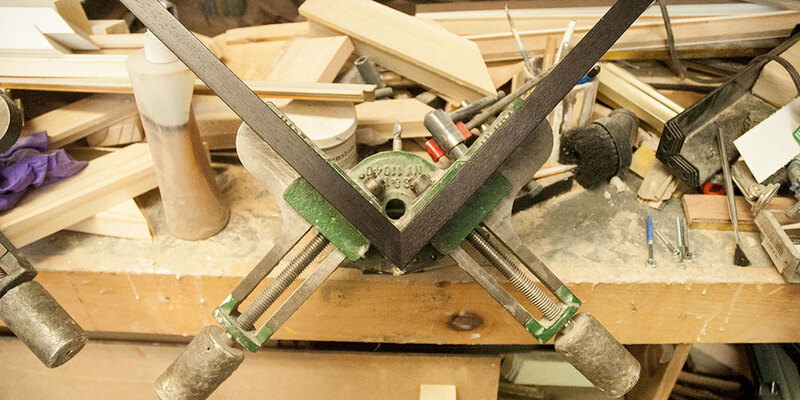 Upon request, Drew can mill a one of kind frame to decorate any size or shape mirror. Art House Picture Frames carries a small selection of 5 X 7 and 8 X 10 frames hand crafted in house and available for immediate purchase. In our ongoing effort to minimize waste, we also carry a line of frames that utilize left over moulding, glass, backing, and mats. We understand that sometimes it can be difficult to move a piece of art. Art House offers pick up and delivery as well as installation services. 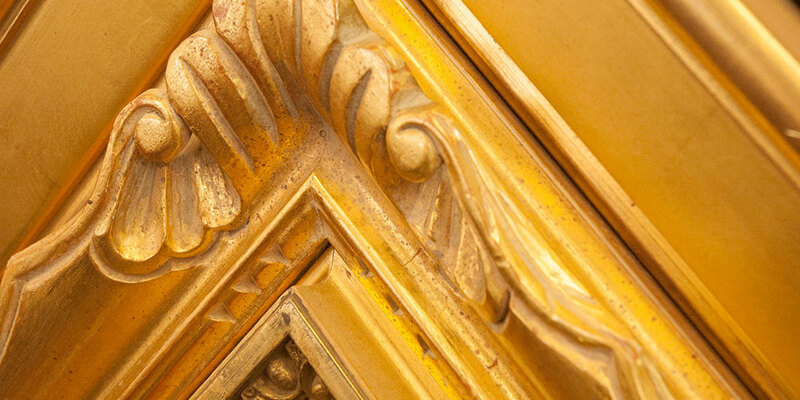 Art House Picture Frames can breathe new life into antique frames through cleaning, mending broken pieces, rejoining corners, and re-gilding.